Last month, on a warm sunny day, Jim & I had just returned home from a trip to Canada. We picked up our dog at the pet sitters, then we all played at home in the backyard together. Tenor was soooo happy to see us. It had been a week — about the longest he’d been away from us. Suddenly, he got this urge to just start running… HARD! Tenor was running laps from corner to corner — the entire perimeter of our fence line. When all of a sudden, as he was running and turning the corner, he yelped and fell down. His knee gave out. That was the start of Tenor’s 3-legged mobility. We immediately called our vet, who said to put him on the Deramaxx pain killers we had leftover from the last time he pulled his leg muscle. If it continued for more than a week, he wanted us to bring Tenor in for x-rays. It continued. The meds didn’t help much. Tenor wouldn’t put any weight on that back right leg at all. When we took him to the vet for x-rays, it was obvious that he’d torn his ACL. Here’s a great explanation: What Is An ACL? So we took our vet’s x-rays to the surgeon (Dr. Beckman), who also did a visual exam of Tenor and agreed the TPLO surgery was necessary. 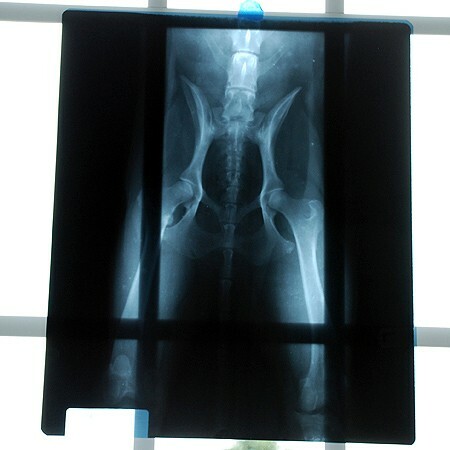 By the way, while examining Tenor’s x-rays (one set included his hips), Dr. Beckman said that Tenor will never have a problem with his hips — they look REALLY good. Whew! some good news for a change! A hip problem is one thing you always wonder about dogs — especially large dogs. Dr. Beckman also spent a good deal of time explaining to us the parts of a dog’s knee, how the knee and ACL work in dogs — including ways that they’re similar and ways that they’re different from a human’s ACL and a human’s knee, the options for this type of injury, and what to expect in terms of the surgery and recuperation period. 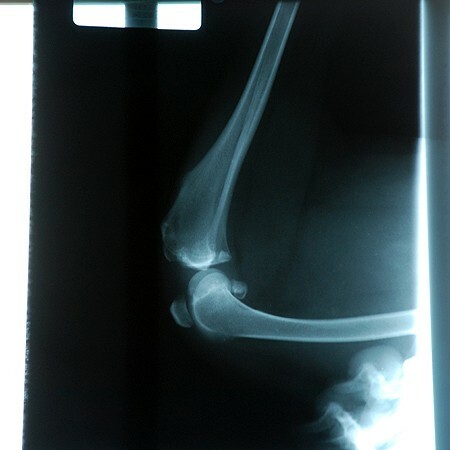 How Much Does TPLO Surgery Cost? I’ve heard that dog TPLO surgery can run anywhere from $2,500 to $5,000. nion Pet Insurance puts the average cost at $5,439 for a Cruciate Ligament Tear, which covers surgery to repair a torn right hind ACL and any post-op complications. In the end, we walked out with a bill of $2,541. Tenor didn’t need much medication. And he didn’t have any post-op complications. 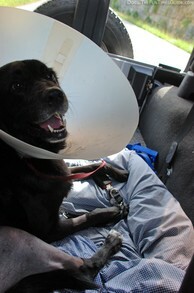 The remaining balance included all of the many meds, bloodwork, IV’s, surgical prep, operating room, bandages, e-collar etc. 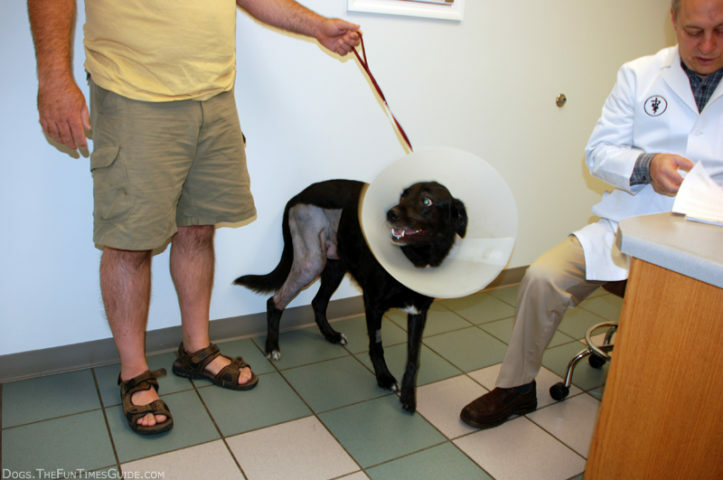 What if you cannot afford the surgery for your dog? Dr. Beckman does roughly 100 TPLO surgeries on dogs each year. He did 2 others on the same day he did Tenor’s. When a dog tears his ACL, basically you can either do nothing or have the surgery. There’s not a lot of middle ground with things you can try along the way. Of course, you’ll have your dog owners who swear by natural medicine anvetexad holistic care, including vitamins, natural foods, and supplements — which may work for some. But for the most part, the larger the dog, the more the TPLO surgery is pretty much the only way to go. Basically, for TPLO surgery on a dog, they separate the bones, remove the ruptured ligament, and screw the bones together with a metal plateit that enable the knee to bend properly. In veterinary medicine throughout the years, the size and shape of that metal plate has changed a bit in order to accommodate what they’ve learned about the way dogs use their knees and how their range of motion is slightly different than humans. Plus, they use a smaller metal plate for small dogs and a larger plate for large dogs. I asked Dr. Beckman about glucosimine and condroiton supplements, and whether I should be giving them to our Tenor to build up the fluids and strength of the joints. He said that was a great question. (Why, thank you!) Basically, he said there’s a ton of research that shows glucosimine and condroiton (both, the human versions and dog versions) are perfectly safe for dogs. What has not been proven however, is their degree of effectiveness with dogs. 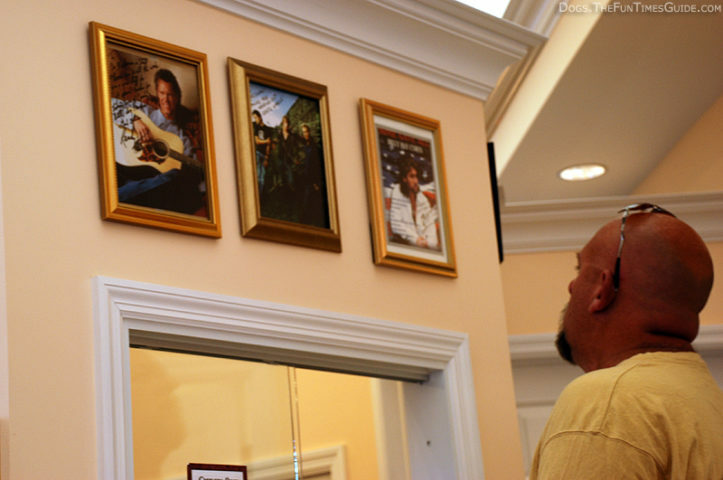 He said some of his patients seem to do well on those supplements; others show no improvements. He recommended that I talk to my regular vet about it, because a regular vet specializes in long-term care for dogs (whereas he specializes in short-term emergency care for pets). Tenor’s stitches are self-dissolving, so there are no stitches to remove. But Dr. Beckman still likes to check the dog’s progress at 2-3 weeks post-op. Then again at the 6-month mark to make sure things have healed properly internally (thus, another set of x-rays). He said it is rare that a dog will also tear the cartilage in the knee at the same time he tears the ACL (1 in 100), but our dog tore the cartilage in his knee at the same time. That just meant that Dr. Beckman had to remove that broken piece of cartilage while he was in there doing the surgery.